WE HAVE A WINNER! ? We are delighted to announce that we have a winner for our Exclusive Dragon Ball Z Metallic Beerus Pop! Vinyl Giveaway!
? ? ? Well done! Thank you so much to everyone who entered! You’re all amazing! ? ? 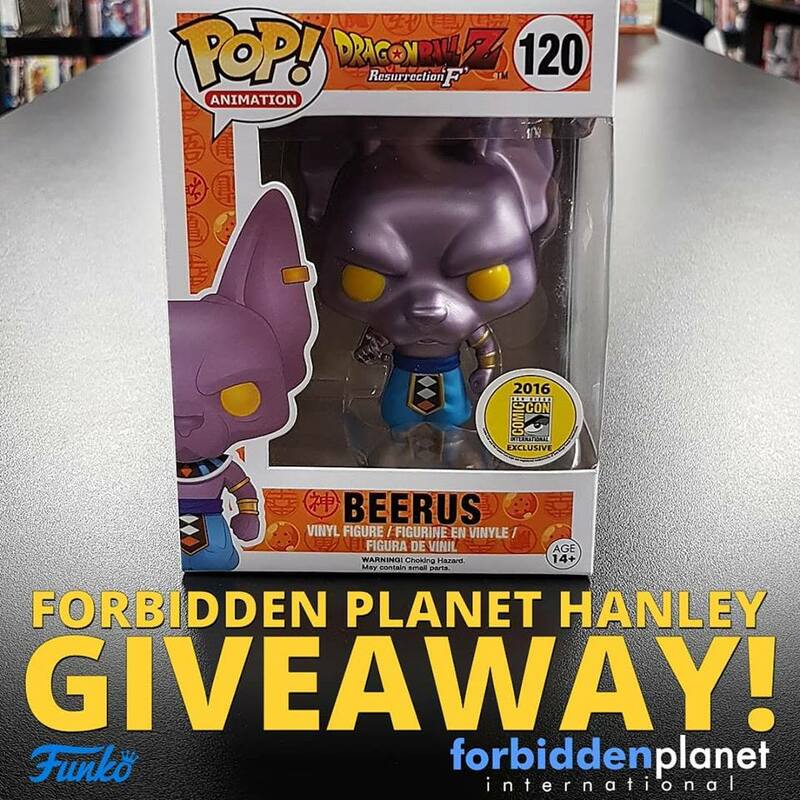 We here at Forbidden Planet Hanley are giving away the God of Destruction in the form of this Exclusive Metallic Pop! Vinyl! 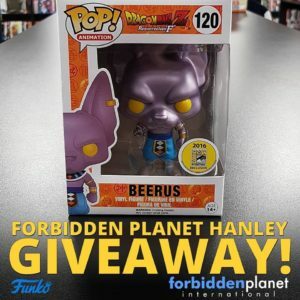 One of our amazing followers will soon be the proud owner of this incredible Beerus Pop! All you need to do to enter is to follow us on Facebook/Instagram and Share/Repost this picture and include the Hashtag – #fpihanleygiveaway – in the description. *On Facebook, you need to simply share this post and be sure to add the required Hashtag. *On Instagram, you will need to either repost the image simply adding the required Hashtag or screen shot and re-share the image on this post attaching the required Hashtag. (When it comes to the re-posting on Instagram, there are many free apps available for this). The Giveaway will be run from Friday 9am 14/19/18 till Friday 9am 21/19/18. A winner will be selected at random from all successful entries. Good luck! !